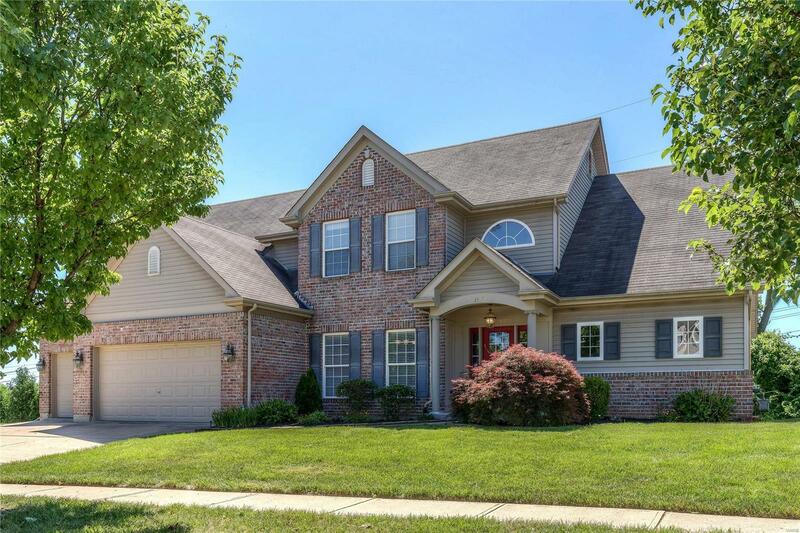 Nestled in a quiet newer neighborhood in Chesterfield, this 1 1/2 story home won't disappoint. MOVE IN READY!! MOVE IN QUICKLY! Freshly painted first floor in today's current trends. Full finished lower level with exercise room, recreation room with walk up wet bar and full bath and a walkout. Other positive amenities: First floor master bedroom with large master bath, sun room, vaulted ceilings, LOTS OF HARDWOOD, bay window, two story ceilings in great room, second floor 16 x 14 loft/den, zoned heating and air conditioning, large first floor laundry room with slop sink, walk in closets, security and sprinkler systems. Many more appealing features including a three car garage and privacy with trees. Available NOW! Great school system. Awesome Chesterfield Location!